working with and advising global organisations and governments on learning and development. Professor Colin Beard is an experienced practitioner in advising, designing and facilitating powerful experiential learning for a range of clients, both national and international, his expertise is recognised by leading organisations, and many of his clients now apply his experiential methods for more effective learning and development. Testimonials demonstrate how he has transformed many organisations. He specialises in holisitc approaches to human learning and he has researched and developed new programme design tools with proven impact. Click on ‘consultancy’ (above right) for more information. He has global expertise and has been invited to work and speak in Singapore, Malaysia, Hong Kong, India and China many times. He has also worked in Europe, Chile, Peru, Taiwan, and the US. Colin has given over 60 keynotes speeches across the globe. He has been recognised in the award of a National Teaching Fellowship from the UK Higher Education Academy. At this website you may read about Colin’s practice, and his academic research. Colin is a great after dinner speaker. He explored the Amazon rainforests for three months in 1975, leading a zoological expedition when he was only 22 years old. He has had many amazing jobs, and many adventures in his life. Colin has co-written the world’s first book on Adventure Tourism. THE 4th EDITION of the new Experiential Learning Handbook was out in August 2018. It is published by Kogan Page. Go to koganpage.com/experientiallearning and enter the code AHREL20 and get 20% off the new book. In this 4th edition there are many new ideas about the theory and practice of experiential learning and experiential education. 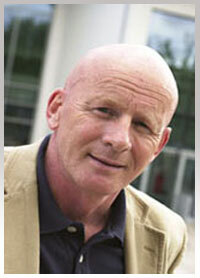 Colin is a Master Practitioner and his research is always focussed on practitioner-research. He works across the globe with people and organisations, sometimes in very special locations. The picture below for example shows the site of a very special organisation, a corporation well respected in Hong Kong. Colin works regularly on staff development and experiential education programmes .